Just Back From . . . 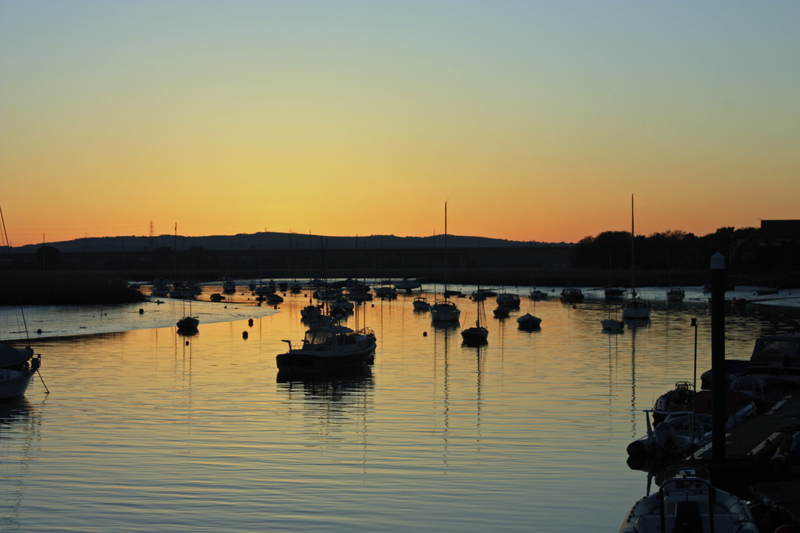 Via Topsham Quay, looking back down to the estuary. and back up towards Exeter. 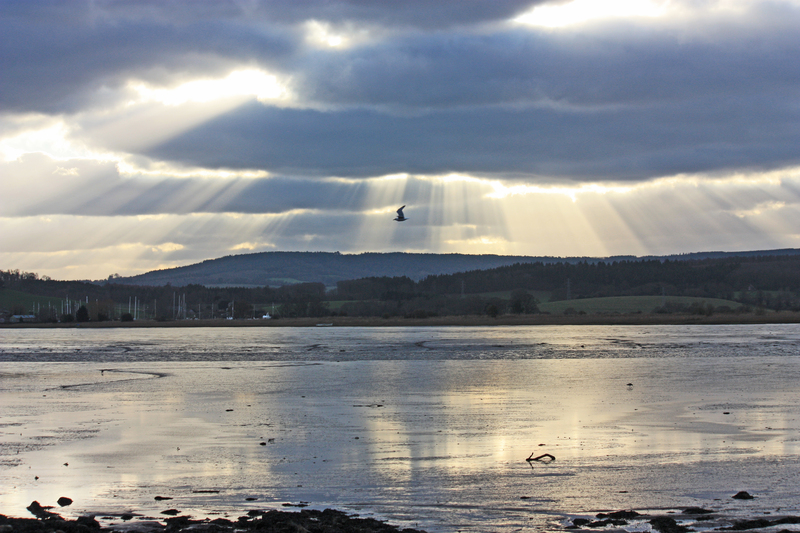 The grey sky and heavy rain of the afternoon cleared away for a lovely evening. Imagine being six years old and setting off to work in 1908. I compare my little granddaughter who is five when I think of it. Talking to a friend at work recently I learnt that her late grandfather was a ‘Barge Gypsy’. A what? I asked her. Apparently Charles Willoughby Garner started work on the Grand Union Canal, just six years old. His job was to guide the horse along the canal bank as it pulled the barge owned by the Bromwich’s, his grandmother’s family. The barge carried grain, coal and wood, presumably towards London as the canal runs 130 miles from Birmingham. Charles stayed with the family barge until he was fourteen and then moved on to be a tug man on the Thames. The First World War began a couple of years before and thank goodness he was too young to be called to arms. He had a very important role during wartime, guiding boats in under darkness, and when the bombing was happening he would be away from home for days on end. Charles stayed on the Thames until he retired aged 68. 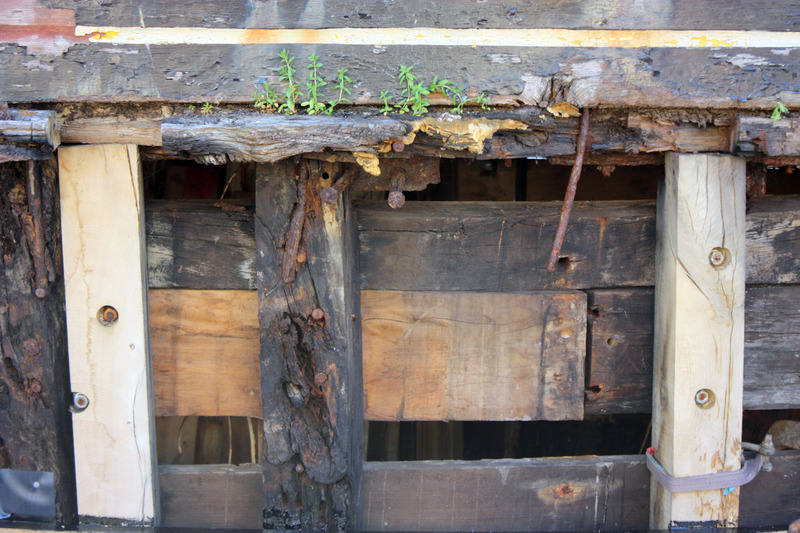 The Bromwich barge was last seen and catalogued as sunk at the bottom of a Manchester dock yard. I wonder if Charles knew that when he died in 1979. I’m sure he was justly proud of his part in Britain’s maritime history. Thank you to Michelle for sharing his story. 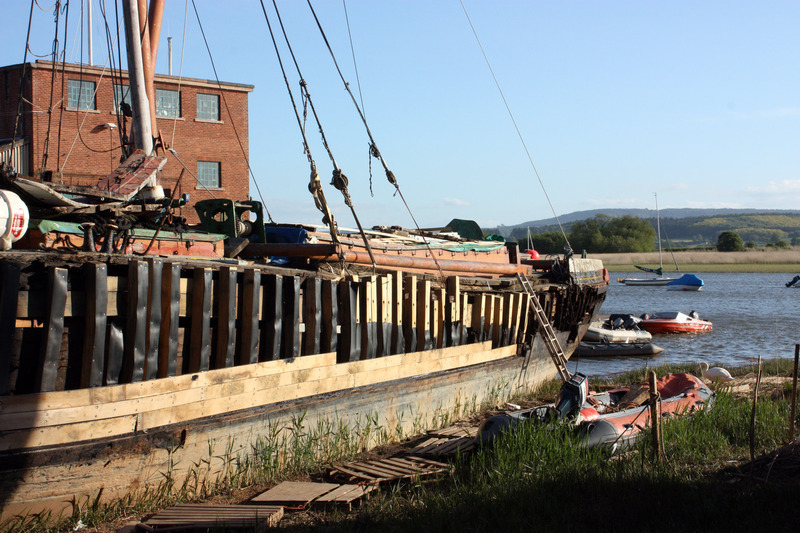 If you have been following Lucid Gypsy for a while you’ll know that I’ve been posting about the restoration of a Thames barge, Vigilant, here in Exeter at Topsham Quay, who knows, perhaps Charles even sailed on her. Yesterday I popped down to check her progress. Stern in the Topsham mud. She comes with her own garden! Looking good on the port side. Traces of colour to her bow. Imagine how beautiful she will be in sail, I can’t wait to see her. 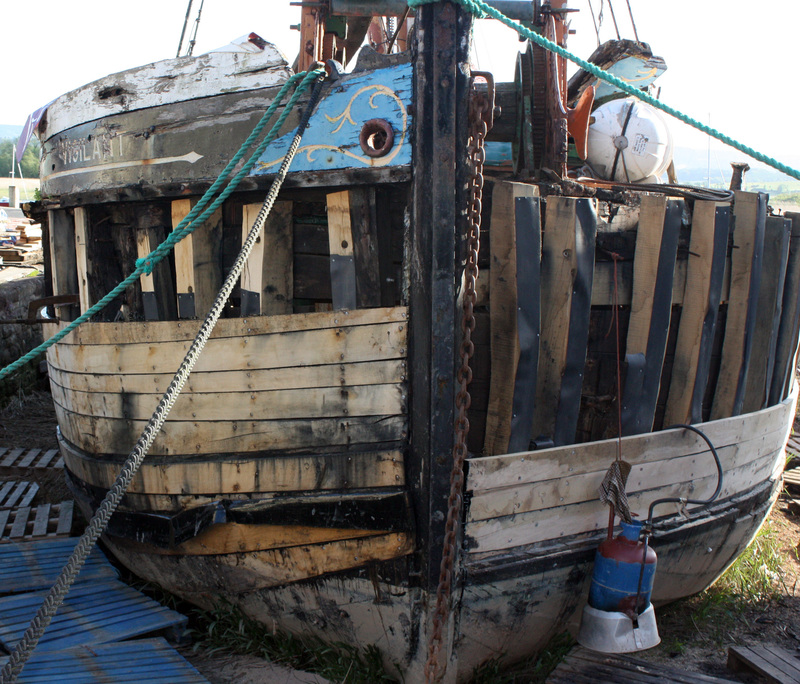 At the very end of 2012 I told you about the restoration of the Thames barge Vigilant on Topsham quay, here https://lucidgypsy.wordpress.com/2012/12/29/vigilant/ I’ve been back a couple of times but just with my phone camera in fading light. In February I took these. And just this evening some more. Haven’t Mr McCabe and co. made good progress? A few weeks ago I noticed a new arrival on Topsham Quay, a great big scruffy hulk of a boat named Vigilant. I don’t know anything about boats but love to photograph them and this is one I plan to come back to again. 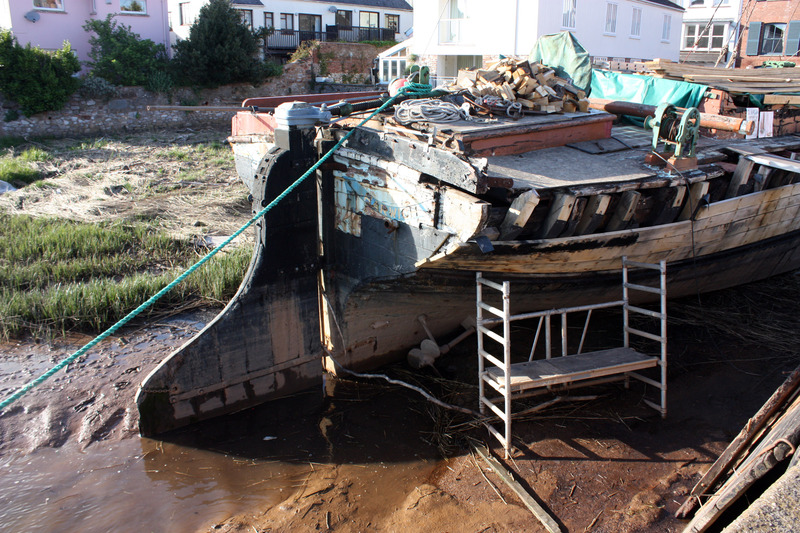 She has been brought to the river Exe in Devon from the Colne in Essex to be restored, looking at her current condition, she’s likely to be here a long time. She was built in 1904 and is one of only thirty Thames barges still in existence from the hundreds that originally transported massive loads around the coast of Britain. 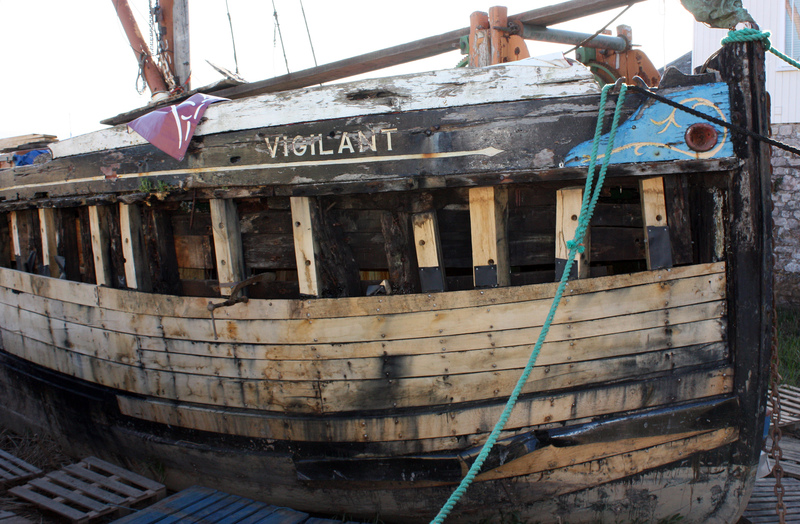 Boats like Vigilant used to sail into Topsham back when it was a working port – who knows she may have been before. The barges were originally powered by sail, traditionally very large ochre coloured ones and engines were not fitted until the 1930’s. They weren’t just work horses though, they were also raced and Vigilant was a winner in her class. Apparently she was sailing until the 1990’s and then became a houseboat. 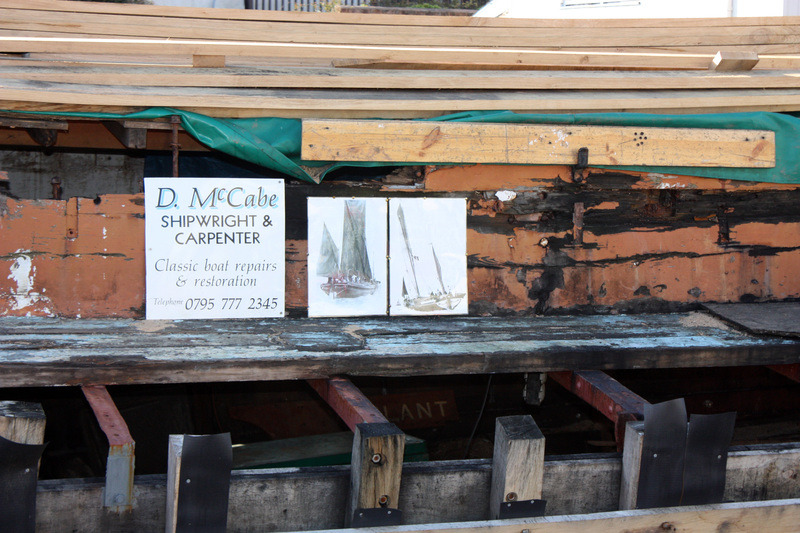 The plan is that she will race again under her ochre sails when she is restored to her former glory. Searching has revealed that there are Sail Barge Societies researching their history, and also the Vigilant was sold recently on ebay, for just under £8000. 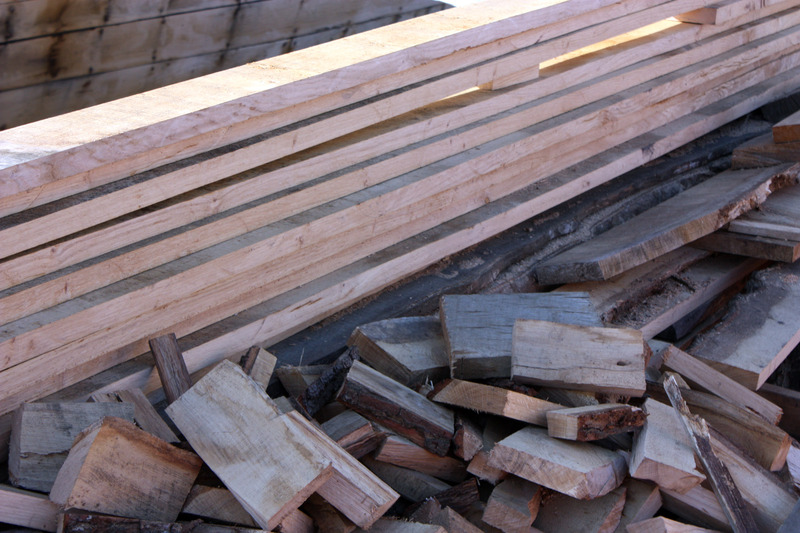 She looks rather sad at present but I know that one day she will be beautiful and I will try to capture her progress. Sunday is Jakes day! 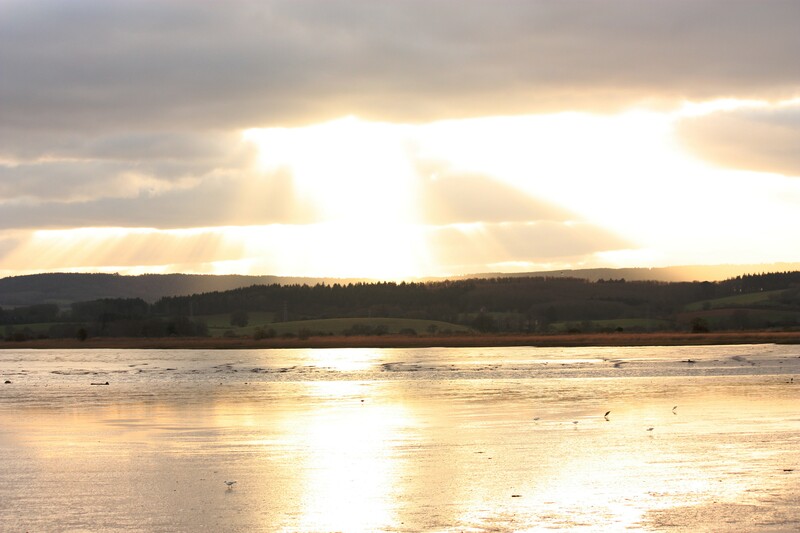 Water is the theme for this weeks photos and mine are five miles and eight thousand miles from home. 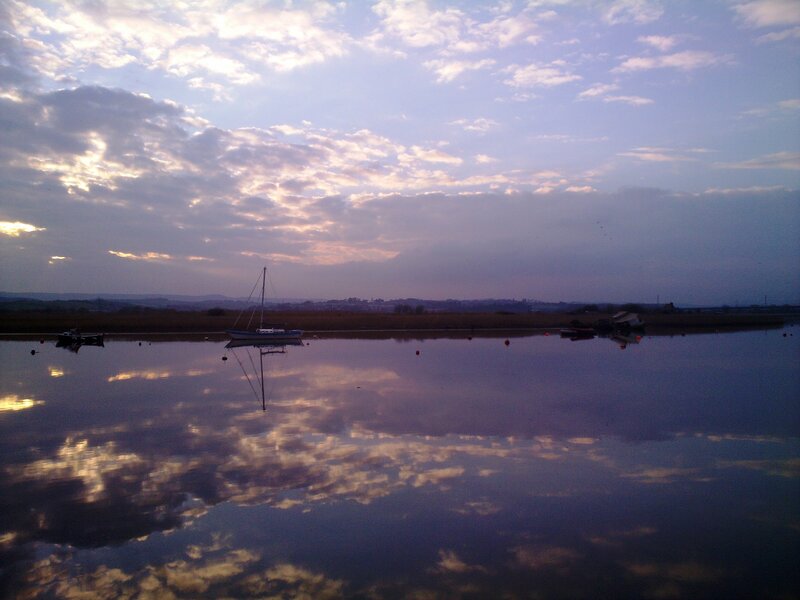 And back to the Exe, it never fails me even with a phone camera. 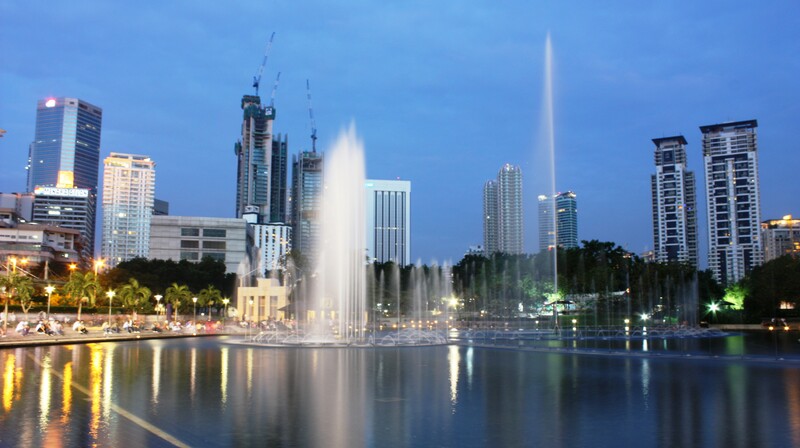 My photos are a bit predictable, I love where I live and Kuala Lumpur is probably my all time favourite city to visit. For some more original work visit Jake and check out his amazing animations as well as the other entrants. 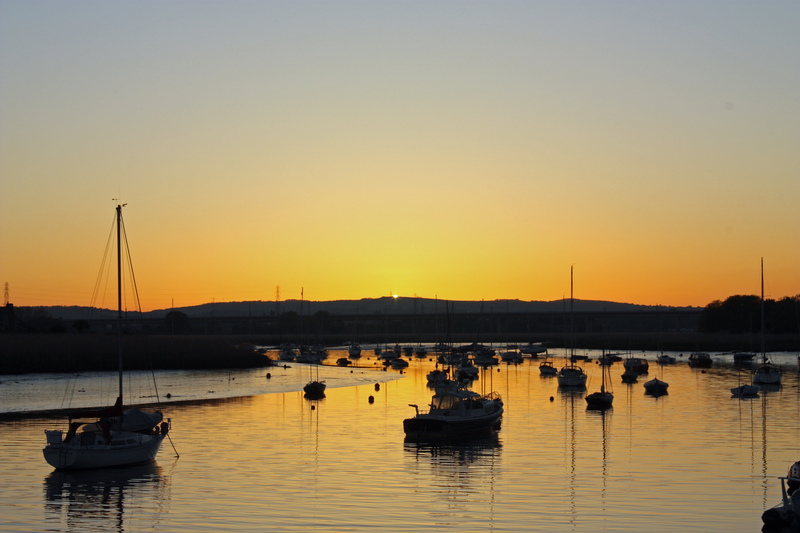 Flying down river to the sea with Topsham on its left and Powderham on its right. 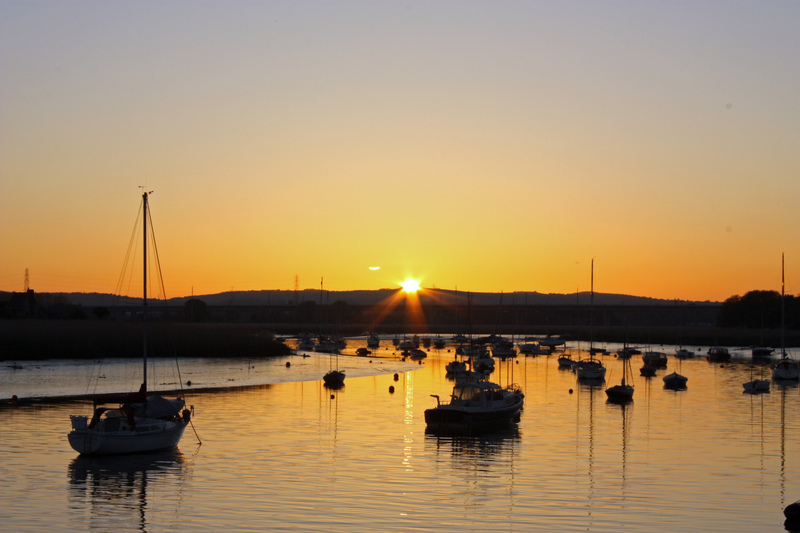 I’d really like to try his view of the Exe. Just once. 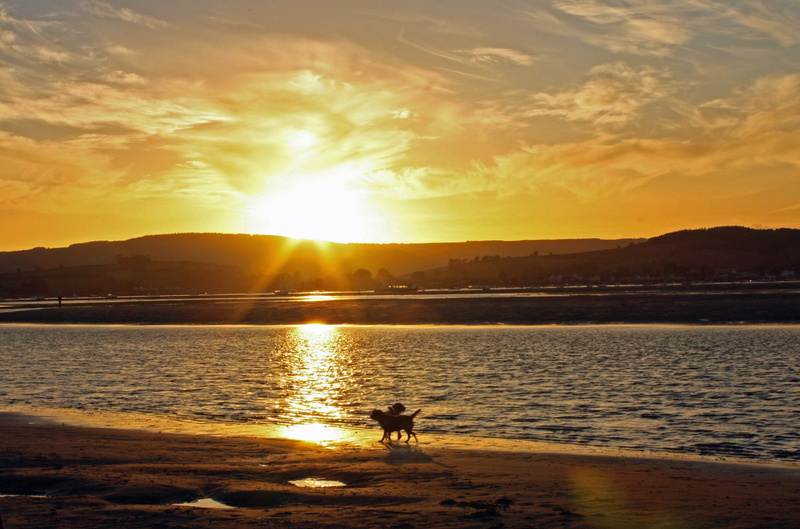 Dido and Daisy, two little friends playing at the beautiful Exe estuary at sunset!